THE FIRST EVER GRAPHIC NOVEL NOMINATED FOR THE MAN BOOKER PRIZE! A NEW YORK TIMES NOTABLE BOOK! ON 20 BEST OF 2018 LISTS INCLUDING THE WASHINGTON POST, NPR, NEWSWEEK, AND THE GUARDIAN! “Sabrina is the intimate story of one man’s suffering, but it also captures the political nihilism of the social-media era—a time when a President can dismiss the murder of a journalist by saying of the perpetrator, “Maybe he did. Maybe he didn’t.”"
When Sabrina disappears, an airman in the U.S. Air Force is drawn into a web of suppositions, wild theories, and outright lies. He reports to work every night in a bare, sterile fortress that serves as no protection from a situation that threatens the sanity of Teddy, his childhood friend and the boyfriend of the missing woman. Sabrina’s grieving sister, Sandra, struggles to fill her days as she waits in purgatory. After a videotape surfaces, we see devastation through a cinematic lens, as true tragedy is distorted when fringe thinkers and conspiracy theorists begin to interpret events to fit their own narratives. 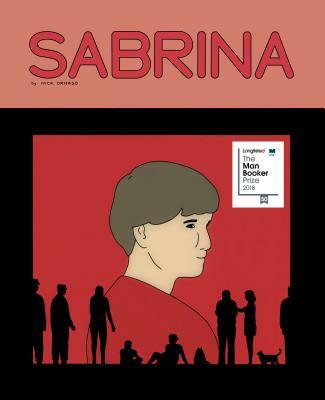 The follow-up to Nick Drnaso’s Beverly, winner of the Los Angeles Times Book Prize, Sabrina depicts a modern world devoid of personal interaction and responsibility, where relationships are stripped of intimacy through glowing computer screens. Presenting an indictment of our modern state, Drnaso contemplates the dangers of a fake-news climate. Timely and articulate, Sabrina leaves you gutted, searching for meaning in the aftermath of disaster. Nick Drnaso was born in 1989 in Palos Hills, Illinois. His debut graphic novel, Beverly, received the Los Angeles Times Book Prize for Best Graphic Novel. He has contributed to several comics anthologies, self-published a handful of comics, been nominated for three Ignatz Awards, and coedited the second and third issues of Linework, Columbia College’s annual comic anthology. Drnaso lives in Chicago, where he works as a cartoonist and illustrator.